Does the smoker tube generate any heat? I've found it raises the grill to about 20-25 degrees (F) above ambient temperature. I don't use any ice as long as it's lower than 50 outside. Between 50-55 I run a probe in the grill with now ice, then add ice if if the grill starts approaching 80. 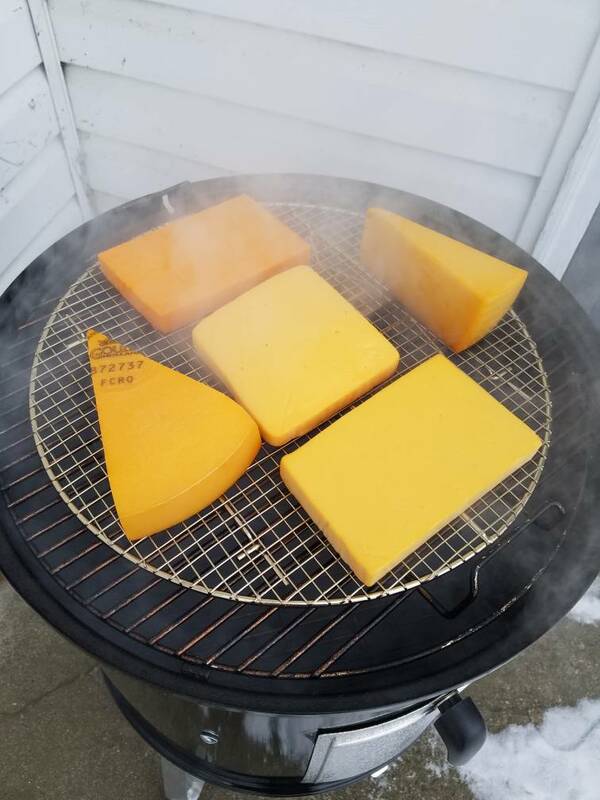 Smoked some cheese finally! 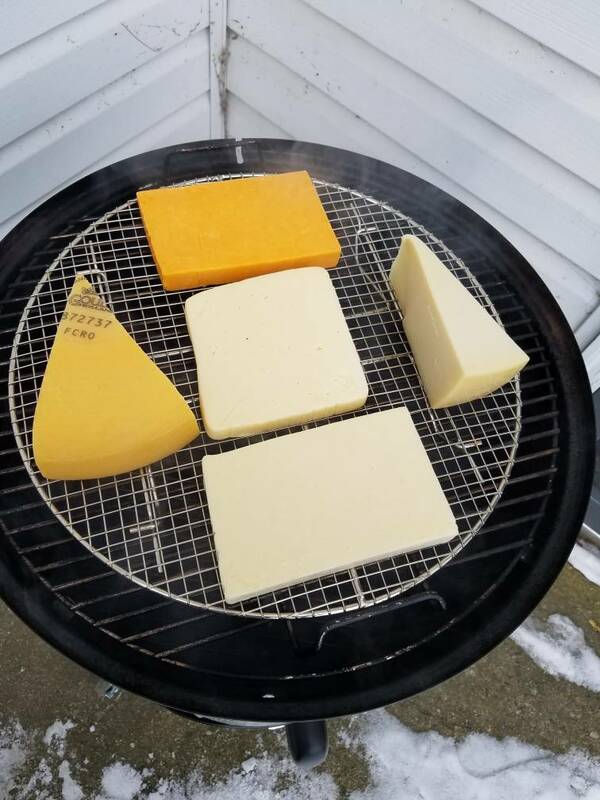 Mild cheddar, sharp cheddar, havarti, gruyere, and gouda. Did it in the 18 wsm with the amazen smoker tube full of apple pellets. Smoked for about 5 hours, flipping half way through. 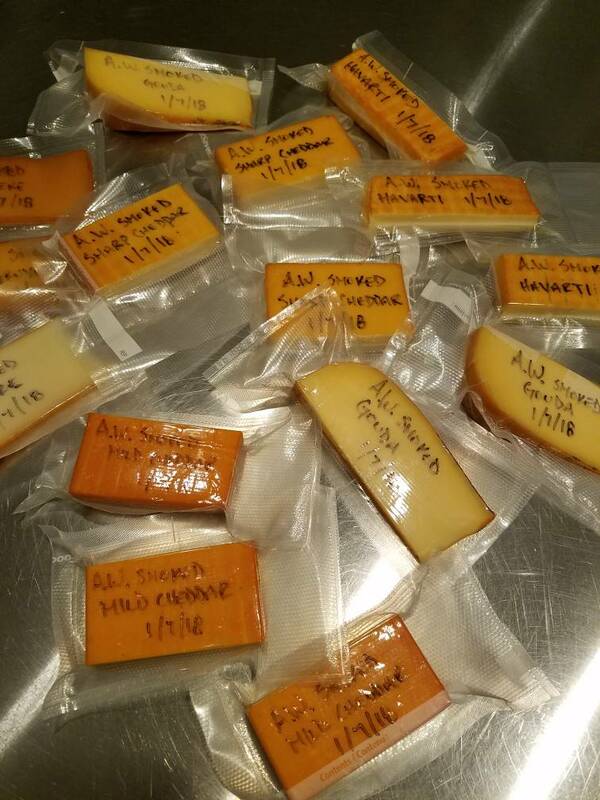 Divided everything up into 3rds and vacuum sealed it up. Can't wait to give them a try in a couple weeks! Once it cools off you can do Cream Cheese, Butter, Goat cheese and others. I use a home built Amazin Pellet tray and use my gas smoker cabinet. Could use a cardboard box, but smoker has shelves. Pepper Jack is a favorite. I usually smoke this when temps are under 50*F. With butter the colder the better. Cook veg in EVOO and finish with a pat of smoked butter. Use cream cheese with smoked salmon and Mac and cheese. Vac pac and wait at least 2 wks. I go a month. Enjoy!! !